One of the biggest differences between my husband and me is the way we like to spend our money. I prefer experiences, and he likes things. While my husband does enjoy some experiences, like eating out and going to sporting events, he enjoys collecting things quite a bit. For my husband, being able to have something tangible to show for his money — something he can pull out and look at — is a Big Deal. I, however, really don’t care much for things. While I do enjoy various types of weaponry, and wouldn’t mind having a couple more high-quality sharp things about the house, when confronted with a choice, I’d rather go somewhere I haven’t been before, or spend a relaxing couple of hours at the spa. I don’t like clutter. One of the biggest reasons that I prefer experiences is that I don’t have to find a place to put them in the house. We have several plastic bins full of action figures in our crawl space. Figuring out what to do with those items was a source of some consternation for a few months. A good experience, though, is enjoyable and it doesn’t take up room in the house. I can keep the house clutter-free, which in turn helps me maintain feelings of well being. When you have a bunch of things, you have to worry about loss. What happens if the house is damaged? You have to work with the insurance company to try and recapture the value of those items. You run the risk of losing things to any number of disasters, and you have to worry about theft to boot. While there is a chance that my memory will fade, and I could lose some of the experiences in my head, I still have back-ups to help job my memory. 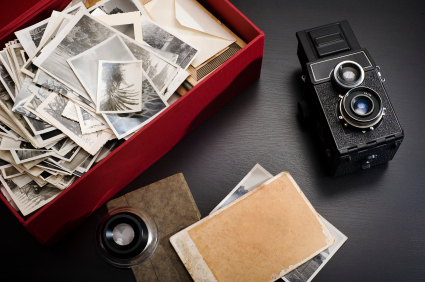 Pictures saved in the cloud can be referred to, and it’s easier to store a pile of pictures in a fireproof/waterproof safe than it is to protect all of the things you might accumulate. One of the unfortunate attitudes many of us have toward stuff is that we think it is as good as having the money. In truth, though, with a few exceptions, most of the things you buy are going to lose value. The memories that you gain from experiences, though, are likely to become more valuable as time passes. While I suppose my husband attaches sentimental value to some of his things — and that can’t be measured in money — for me, things tend to lose their luster after awhile. But the memory of a great experience is always bright in my mind. It seems incredible to my husband that I would rather spend money on travel — something that lasts a few days and then comes to an end — than on a tangible object that can be touched again and again. At the same time, I have a hard time understanding why my husband would rather have all these objects, when he could experience something new and interesting. There is not right answer as to what is better; it’s about what you prefer. The key is figuring out what’s important to you, and then spending your money on what matters to you, rather than using it in ways that you don’t find fulfilling. What do you think? Experiences or things? And why? My husband and I are both experiences people. We don’t collect anything or accumulate much of anything. I want to have more experiences, but I also want to do it only once the house has been paid off and I am debt free. Seeing as my wife and I planned this out year and years ago we should be able to start having our experiences within 2 years. I agree on the experiences rather than things. I would rather travel than find another place to store my stuff! We live in a small apartment so this is kind of necessary! Experiences for sure! I like my things..but I’d rather go on a trip and have pics and memories for a lifetime! I used to be a things person, for the simple reason that a “thing” can give you many, many experiences. But once you’ve had an experience, it’s gone. Done. Over. All you have is a memory… which fades and gets cluttered. I still remember the day I sold my motorcycle, a thing which gave me experience after wind in the hair experience, to buy a plane ticket around the world. Great reasons. Totally agree with you. I’m all about experiences because of the appreciating value that you mention. I admit, I like a little of each. I have accumulated a lot of experiences which I will retell when our family gets together. I use pictures and other things to remind me of the trips or experiences. The memory trumps the things, but it is not everything. Couple of years ago I found that experiences and things (jewellery mainly) merged into one. For years I believed that I like jewellery – it turned out that this is my way to keep my stories. Once I realised that all I had to do is find another way to keep my stories and move completely to ‘happenings’ rather than things. Still need to de-clutter my house though :). I’m 100% with you on that! I don’t need things, but man I’d love to travel more! I prefer experiences over things, because experiences tend to give us lasting satisfaction while things especially now in this fast changing world, can only give us short term satisfaction after which we begin to crave for a better one. So true about the lack of decrease in value (and, more often, increase). Great post, Miranda. If given a choice, I’d go with experiences. They can shape your perspective and help us grow personally. Also, they can make memories. Material things can be needed, but can also end up as clutter in many cases. I’m much more interested in experiences than things as well. I’m not much of a pack rat to begin with, so things in general really don’t interest me. Experiences are so much more fulfilling and I can think back on them whenever I like. I would say that I am a hybrid. I enjoy both experiences and things, but it depends on the situation. That is just me, but I think both have roles in making my life enjoyable. I am definately a “Things” person. I love to be able to hold something and use it over and over. I’m not saying i don’t love great and new experiences, but those end and then there is nothing to show for it. I like to be able to use what i spend my money on over and over again. In regards to the clutter, that all depends on the household, and luckily for me, my husband is a neat freak! I grew up in a house with a ton of “things”. My parents both my six-figure incomes and I always had video games, baseball memorabilia, toys, more clothes than you could shake a stick at, etc. These things did not improve my life and in fact I wish that my parents good fortune could have been spent on experiences that would have made us all happier. I have fond memories of playing Nintendo with the neighbors, but I have much fonder memories of playing catch with my Dad in the local park and going to get ice cream in town on Saturday evenings. I also have memories of spending way too much time alone in my room, in front of the TV, computer and video games – lots of wasted time in which I would have been better off outside enjoying those experiences. That’s certainly how I plan on raising my kids.